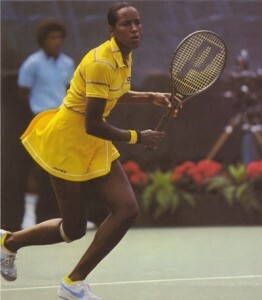 Winner of the 1979 and 1980 ATA Women’s Singles Championships and the 1980 and 1981 Women’s Doubles Championships. She won a total of 10 singles and 33 doubles titles during her career. Her career-high world rankings were World No. 9 in singles (in 1988), and World No. 4 in doubles (in 1987). Rodney was the first Black Director of Mens Tennis in the USTA High Performance Program. He is the founder and driving force behind one of the most effective community tennis programs in the country, the Malavai Washington Kids Foundation in Jacksonville, Florida. Chip Hooper achieved a high ranking of #17. In his first full year on the ATP tour, he broke the top 20 rankings. He was a member of the USTA Junior Davis Cup team in 1981 and received the ATP Newcomer of the Year award in 1982. Chip won 5 doubles titles. At 6-foot-6, he was one of the most imposing figures on the tour. He earned All-American honors at the University of Arkansas in 1980-1981 and is regarded as the best player ever to attend that University. Marcel Freeman was a 4-time All American for UCLA from 1979-1982. His career high ATP ranking was #46. 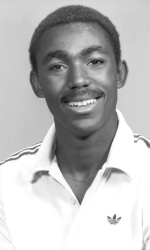 Marcel played #1 singles for UCLA and in his senior year, 1979, he was named ITA National Player of the Year. He was a member of the U.S. Junior Davis Cup Team and in 1985 won the Nancy, France doubles tournament partnering with Rodney Harmon. In 1986, Marcel upset eighth seeded Johan Kriek in the first round of the ATP Championships then teamed with Brian Teacher to defeat the doubles team of Mats Wilander and Joakim Nystrom in another first round match. 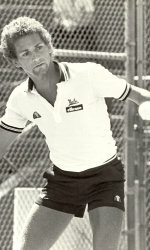 Marcel was named ITA Player of the Year in 1982 and inducted into the ITA Hall of Fame in 2011. 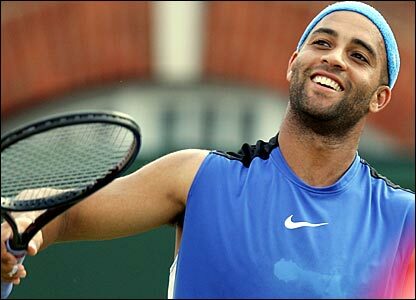 Bryan Shelton has wins over legends such as Andre Agassi, Thomas Muster, Richard Krajicek and Todd Martin. He competed in seven U.S Opens, six Australian Opens and four French Opens. He won his first tour title at the Hall of Fame Championships in 1991, becoming the first African-American to win an ATP event since Arthur Ashe in 1978. 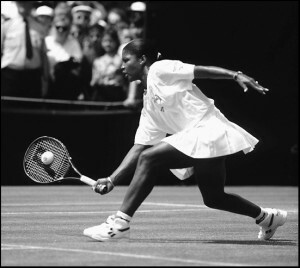 After retiring from the pro tour, Bryan coached Malivai Washington, a 1996 Wimbledon finalist. 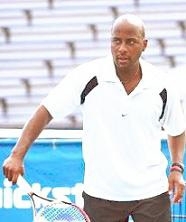 He became a National USTA coach and assisted with the development of some of America’s top juniors. At this time, 2011, Bryan is entering his 12th season at the head women’s coach at Georgia Tech and is one of the most successful coaches in school history. He is one of only five coaches in Georgia Tech Athletics to guide a team to a national title, and the only one to capture a NCAA Team Championship. 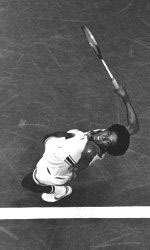 Lloyd Bourne had a career high singles ranking of #73 in 1983 and #42 in doubles in 1987. Lloyd was an Stanford All-American in 1979. Lloyd upset Ilie Nastase and Cassio Motta at Wimbledon in 1982 before being ousted by John McEnroe in the round of 16. McEnroe reached the finals losing to Jimmy Connors in the fifth set. Martin Blackman was one of an elite group of juniors training at the Bollettieri Tennis Academy. His training mates were Andre Agassi, Jim Courier and David Wheaton, among others. He reached the semi-final of the US Open Boy’s 16’s defeating Michael Chang and Petr Korda along the way. 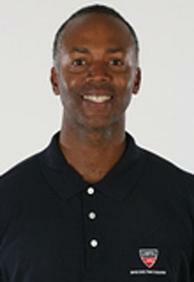 He played on the pro tour for seven years before he became coach of American University from 1999-2004. He then became Director of The Junior Tennis Champions Center in College Park, MD. A talented individual and a true gentleman, Martin was selected as Senior Director for Talent Identification and Development for the USTA. In this new position, effective January 1, 2011, Martin led the USTA’s efforts in in identifying and developing players through its Certified Regional Training Centers. Martin currently manages his own tennis academy, the Blackman Tennis Academy, in Boca Raton, Florida.